An explosion of daring new music-theatre works with a message: traditional folk music collides with contemporary composition, shaken up along the way with grime rap and electro-pop. 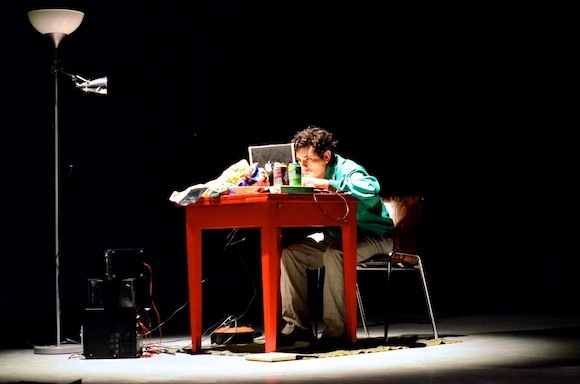 Music, dance, theatre and electronics seamlessly meld into one entity. Evolved from their roots in traditional English folk culture, the wooden clogs not only become a percussive instrument, but a means for creating theatrical expression. Coupled with wireless technology hidden amongst the scenery and on the performers' bodies, the electronics fully integrate with movement to produce an exciting, completely new experience of music. 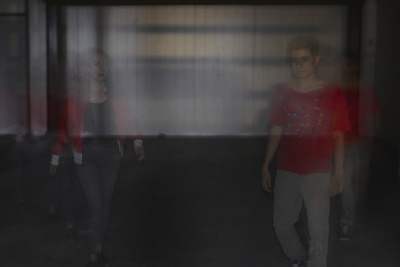 During their sold-out 2013 UK tour, Bo is Burning was received to critical acclaim, at venues ranging from the renowned Huddersfield Contemporary Music Festival to underground location performances taking place amongst the machinery in old mills. It has also been performed at venues including the 3rd International Recorder Festival and STEIM Amsterdam, and has been broadcast on BBC Radio3. 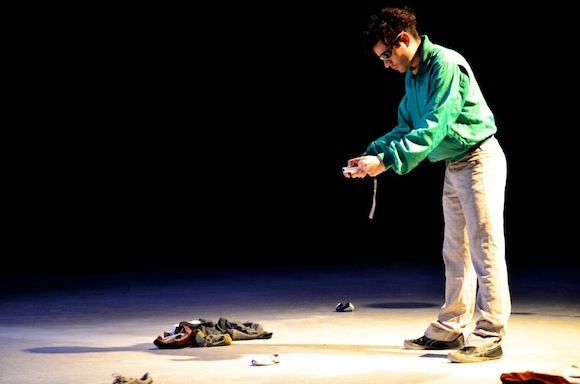 Sarah Jeffery (UK), Felipe Ignacio Noriega (MEX), Cinthya Oyervides (MEX) are prize-winning, pioneering artists within their fields, and have performed across Europe and South America. Coming together in a quest for a new means of music-theatre expression, they have turned to their cultural roots as an inspiration as well as offering social commentary. By challenging the boundaries of existing art-forms, they collaborate to produce innovative works that, rather than fitting into an existing mould, set a precedent for the future. 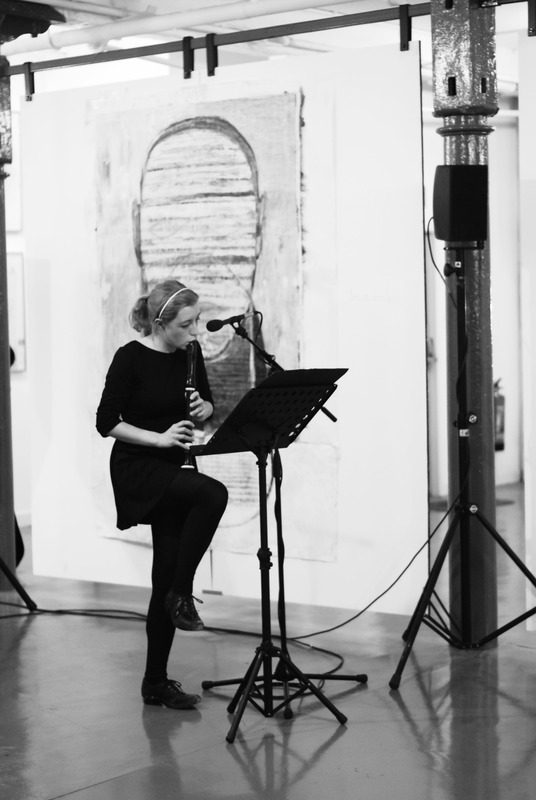 The pieces may be performed as one programme, duration 1 hour, or separately, on location. "Completely ready for the 21st Century... perfect integration of all elements"
An appetizer introducing the different elements of our programme, FolkCLASH is a mash-up of traditional dance and garage electronics. Dancing on snippets of folk tunes triggered by self-made sensors and live-coding, the clog dancer interacts with the programmer in a showdown of improvisation! 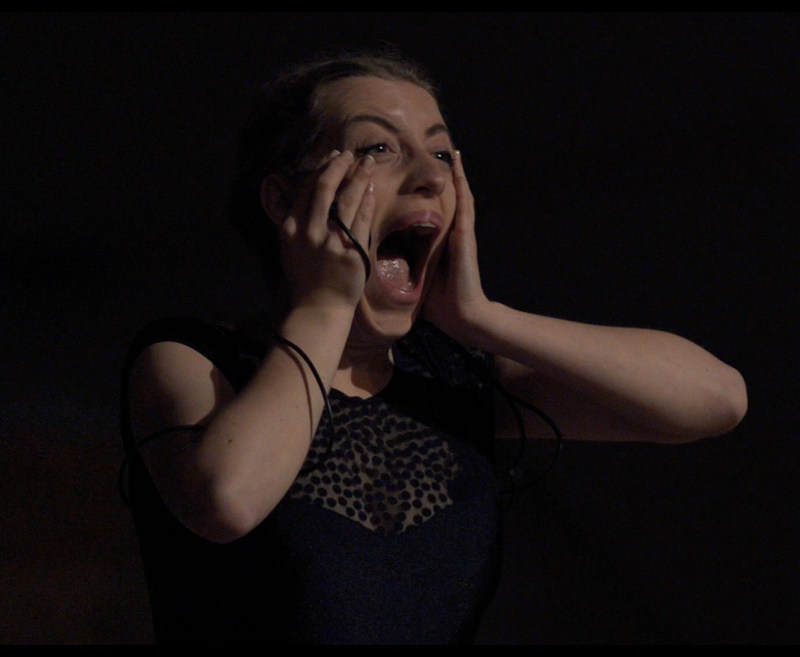 A historical account told through a music-theatre performance, The Mill Song enters into the genre of documentary theatre. 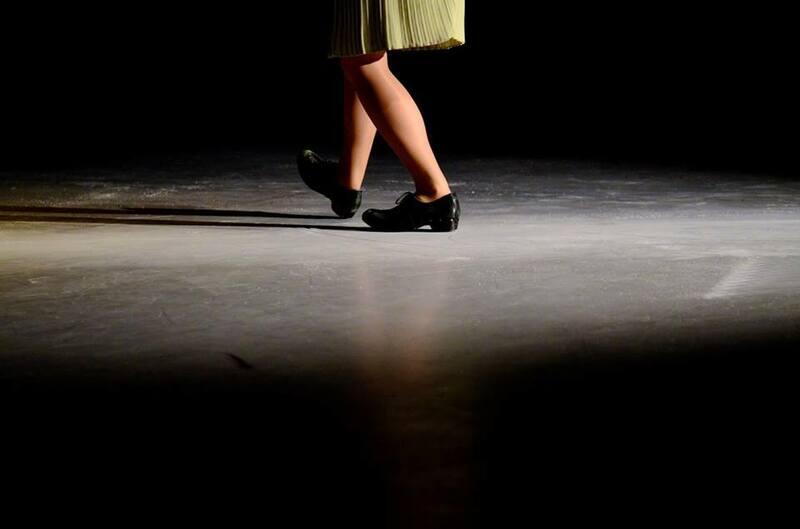 Inspired by the origins of clog dance in the industrial revolution, a young girl working in a mill moves gradually through states of frustration, escapism and confrontation. The percussive clogs are transformed into resonating harmonies through live wireless electronics hidden on the body, and are manipulated to amazing effect by using the hands and mouth as a filter. A conglomeration of industrial noises, chopped and looped into manic contrasts and rhythmic interplays. Stemming from Ned McGowan's composition Workshop (2004), both clogs and recorder are used to evoke the juddering factory sounds from whence clog dance came. 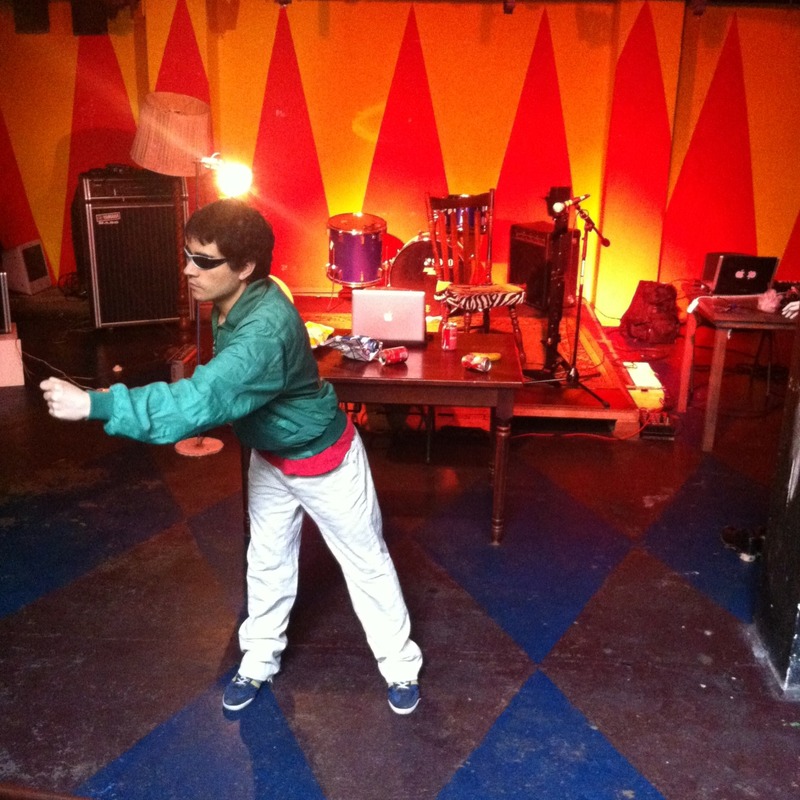 Felipe is not only a composer and laptop artist, but also a skilled dancer. Here, he uses body-popping together with live wireless electronics, literally transforming his body into a robot! 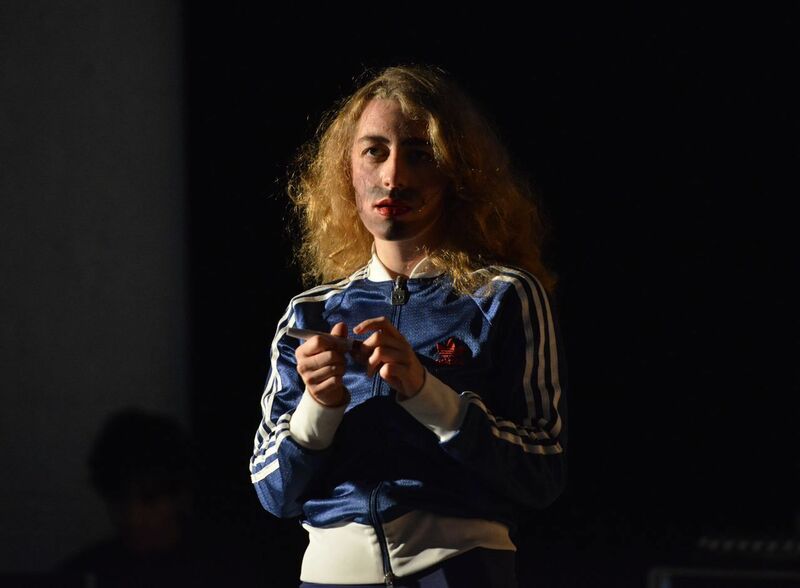 An exploration of gender and identity told through the eyes of a teenage girl, as she dreams of karaoke queens and drag kings. 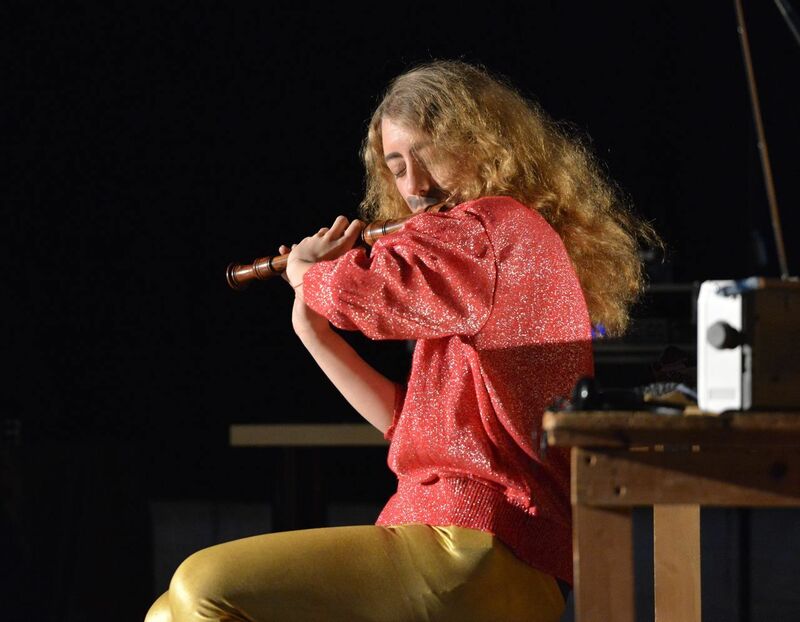 Combining turn-of-the-century Surrealism with lilting folk songs, retro technology and radio pop, the performance is brought to life with virtuoso recorder playing, newly invented clog dance, vocals and live electronics. Bo is Burning was premiered to great acclaim at hcmf// 2013 during a sold-out UK tour.